Real Madrid ace Cristiano Ronaldo has chosen to mark the 22nd birthday of his girlfriend Georgina Rodriquez in romantic style, by enjoying a cosy meal for two out in the Spanish capital. The pair headed out to Madrid's Tatel restaurant to celebrate the milestone occasion with some fine dining, days after Ronaldo helped his team to an emphatic La Liga victory over Real Sociedad. 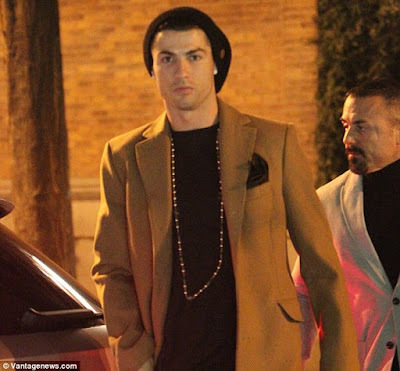 Ronaldo played the role of designated driver, taking to the wheel as the couple drove off to the eatery. The Madrid star appeared in high spirits as he headed off for the evening of romance, while Spanish model Rodriguez was all smiles.